Luoyang Dahua construction waste processing line has good particle shape and high processing capacity. The latest production line at Beijing sets up a prototype project for the company's construction waste processing line. The modular crushing combination of 2PGC90160 construction waste crusher and PFQ1310 impact crusher can be installed quickly and run fastly which saves plenty of capital expenditure and installation cost. The star product ZM2540 steel slag autogenous mill is the core equipment of resource reuse project. The crushing effect is fully recognized by the customer. 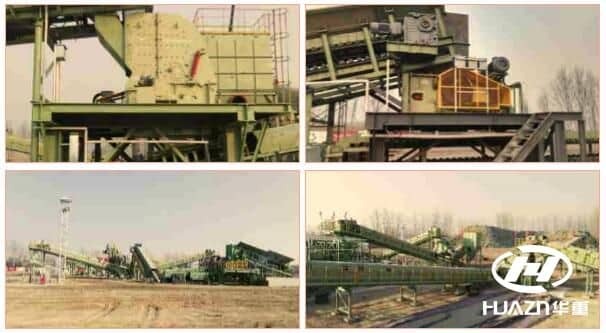 The steel slag autogenous mill belongs to the resource recycling equipment, conforms to the national development policy, and the market prospect is broad. Next Article: Which Equipments are needed for the Construction Wastes Disposal Line?